Even before the Ukrainian crisis, neither Russia nor the EU were content with their relationship. Despite economic interdependence, strategic partnership, official declarations of belonging culturally and historically to the same ‘European family’ and in spite of Russia’s stated interest in establishing an economic community stretching from Lisbon to Vladivostok, the two actors found it difficult to agree on important issues. The conflictual atmosphere between the EU and Russia has three main dimensions: the normative issue, energy relations, and the shared neighbourhood with the latter being particularly salient after the launch of the Eastern Partnership (EaP) in 2009. The former Soviet space is at the core of Russian foreign policy. Moscow’s special interest in this area results from economic factors, diaspora issues, and, most importantly, from its perceived security need. Obsessed by a fear of being encircled by enemies, Russia sees its hegemony over the former Soviet republics as paramount to the protection of its own borders. Therefore, the rapprochement of any other actor towards this region is regarded with high suspicion. 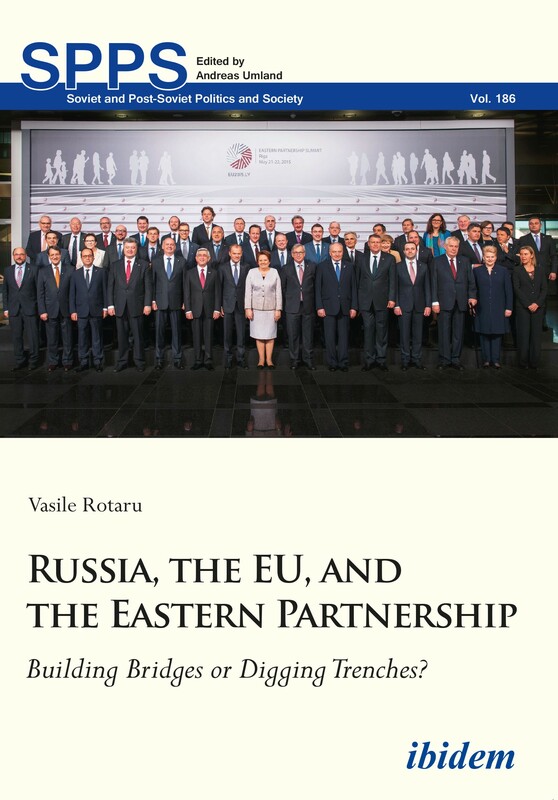 Against this background, Vasile Rotaru analyzes EU-Russia relations with a particular emphasis on the impact of the EaP on Moscow’s relations with Brussels. He argues that the EaP represented a turning point in EU-Russia relations, determining Moscow to revise its attitude towards the Union. Rotaru explains that, even if the EaP was Brussels’ initiative, the Partnership met the aspirations of the six former Soviet republics. Moreover, despite its opposition towards the EU’s initiative, Russia itself acted involuntarily as a propeller of the EaP. By aiming to keep the former Soviet republics close, Moscow often conducts an assertive, aggressive policy in the ‘near abroad.’ This strategy, however, had mostly opposite effects, causing Russia’s neighbors to look elsewhere for support of their sovereignty. From this perspective, the rapprochement of Moldova, Belarus, Ukraine, and the three Caucasus republics with the EU has not been determined only by Brussels’ prosperity and soft-power attractiveness but also by existential fears in the former Soviet republics. The book appeals to a wide range of students, researchers, and professors specializing on Russia, the EU, and the former Soviet space in the fields of International Relations, Foreign Policy Analysis, and Security Studies as well as to think-tank analysts and policy makers. Dr. Vasile Rotaru is a Research Fellow on International Relations at the National University of Political Studies and Public Administration (SNSPA) in Bucharest. He studied History and International Relations at the University of Bucharest and SNSPA and was a visiting fellow at Georgetown University, the University of Leuven, and the University of Tartu. His papers have been published in Problems of Post-Communism, Southeast European and Black Sea Studies, Digest of World Politics of the XXI Century, etc. Rotaru’s most recent book is Between Integration and Intervention: Russia and the European ‘Near Abroad’ after 2009 (Military Publishing House 2016).